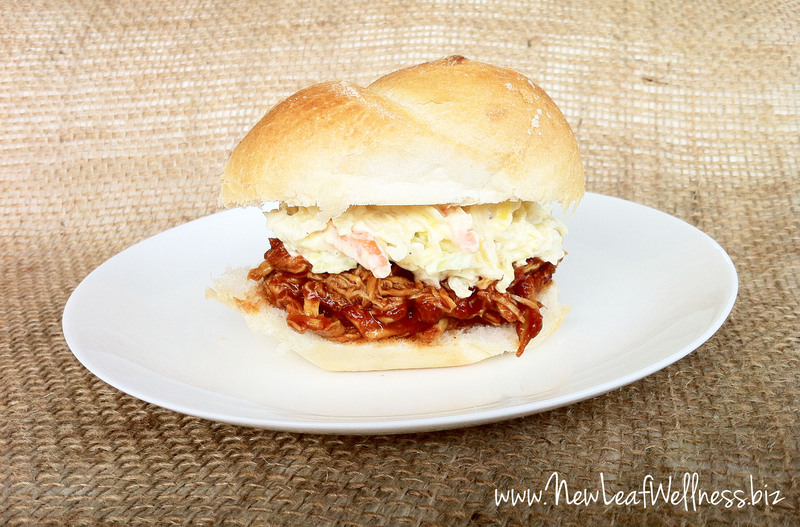 I’m so excited to share one of my favorite recipes from my ‘Easy & Healthy Slow Cooker Recipes’ cookbook with you: Shredded BBQ Chicken! Every recipe in my cookbook was inspired by fresh, healthy, and seasonal ingredients. Simply combine the ingredients in your slow cooker and let it do all the work for you. Such an easy way to make healthy, homemade meals! Forget about heavy slow cooker recipes made with cream-based condensed soups. These are modern slow cooker recipes made with fresh fruits, vegetables, and lean meats. Create homemade BBQ sauce by combining ketchup, Worcestershire sauce, brown sugar, chili powder, hot sauce, and curry powder. Add chicken breasts to your slow cooker and top with BBQ sauce. Shred chicken and return to slow cooker to mix with remaining BBQ sauce. 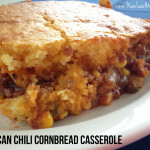 You can find more awesome recipes like this in my ’Easy & Healthy Slow Cooker Recipes’ cookbook. (The eBook is for sale for $5.99 and the printed cookbook $8.99!) Purchase your copy today to start making easy and healthy slow cooker meals! If I use frozen chicken breasts, is the cooking time still 8 hours? I recommend thawing them in the refrigerator overnight, the night before you’re going to try the recipe. Eight hours should be about right, but it depends on the size and strength of your slow cooker. My 7-quart slow cooker might only need 6-8 hours compared to 8-10 in my 4-qt slow cooker. Am I reading the recipe right? It says only 1 lb of chicken. Yes, but you could also use two. Do you also freeze the slaw? 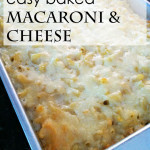 Looking to make freezer meals for Christmas gifts for family members who have everything already! Hmm, I’ve never tried before. If it works, let me know! 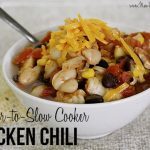 Can you make these recipes from your Easy & Healthy Slow Cooker Recipes’ cookbook and freeze them like your other freezer recipes? If so, would you just throw everything together and freeze? Not all of them, but the fajitas, soup, ginger garlic chicken, pork tacos, BBQ chicken, and beef lime chili all freeze great. I think I provide freezer instructions for all of them in my No Cook Freezer Meals book. Does the sauce come out thick or watery? I would say it’s on the thin side. 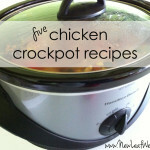 The longer you cook it in your crockpot, the more it will thicken.